SuperTrapp Performance Exhaust, is blue with Blue and Black pinstriping and has lots and lots of nice shiny chrome. The original miles of the Harley Davidson for sale are unknown but the new odometer reading currently shows 603 Miles. The Fatboy is located in Jacksonville, Florida and if you would like to make an appointment to take a look or make an offer to buy it you can reach me by leaving your highest bid, questions and your contact information in the space below provided by Strike Lightning Used Motorcycles for Sale and I will respond with answers to your questions or after consideration of your offer as soon as possible. 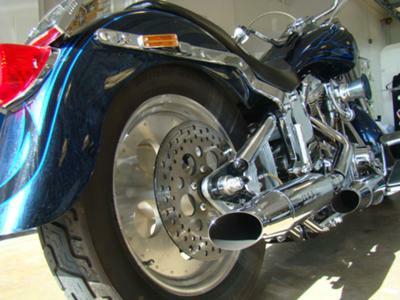 Strike Lightning would also encourage bikers to submit a review of the 1998 HARLEY FATBOY for sale to help potential buyers make informed decisions and to benefit the biker community as a whole.